The 2018 Tyrolia Attack2 11 has been radically redesigned offering both alpine and Grip Walk sole compatibility. 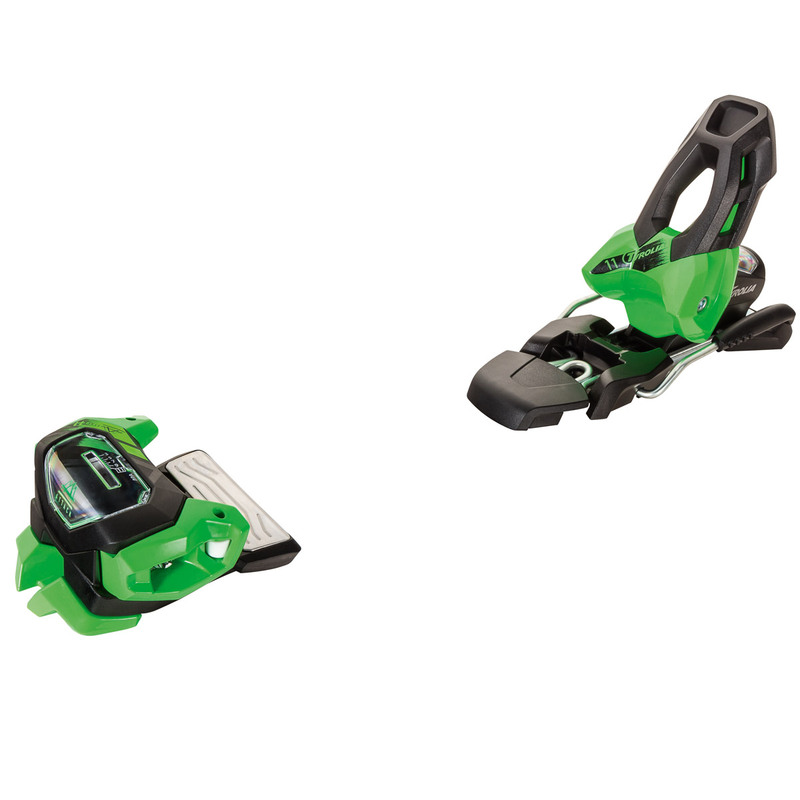 Built to be pushed hard and to push back even harder the is a powerful, safe and stylish freeski binding for all mountain and freeskiers. The new FR Pro2 Toe is super secure with a 77mm metal Anti Friction Device. The heel piece kinematic design was developed to reduce friction and guarantee more consistent release values. The Attack2 11 uses the SX FR heel for a light weight and durable platform.